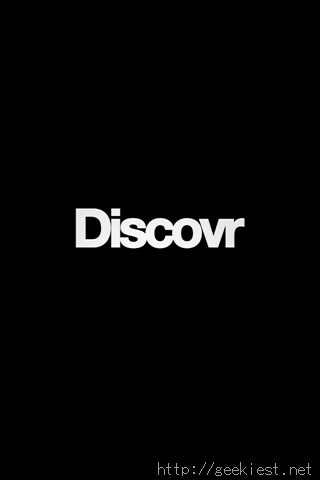 Discovr is a popular series of apps from Filter Squad, which helps users to ‘discover’ new music, movies,apps. 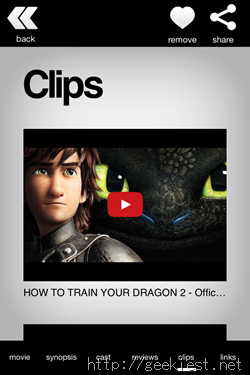 All you have to do is enter the name of a movie, and it will help you discover similar movies. Simple isn’t it? 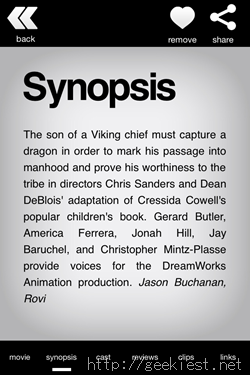 You can tap on one of the results to view more details about the movie, including the cast, synopsis, and even reviews from popular websites like Rotten Tomatoes. 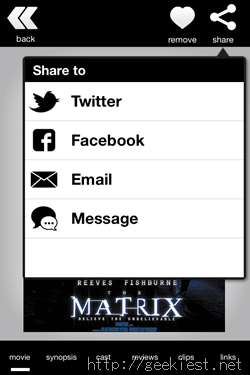 The app also has social sharing options which you can use to inform your friends about an interesting movie you come across. 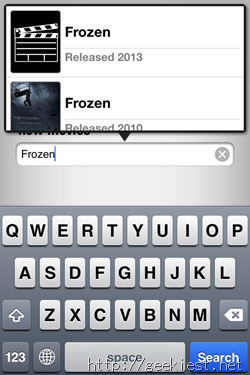 You can also add movies to your favorites and later access it quickly from the Favorites tab. 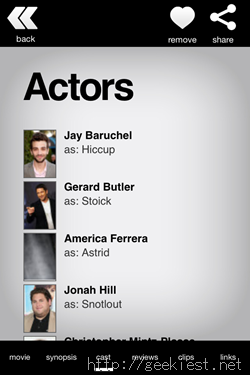 The app also has an “Our Pick” tab which features some of the developer’s selection of top movies. 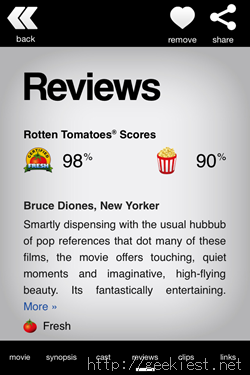 Usually, the Discovr Movies app for iPhone and iPad costs $3.99, but you can get it for Free now. 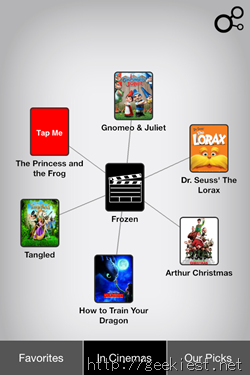 Download Discovr Movies for from the iTunes Store. This may be a limited time offer, so make sure you get it while it is still free. Note: The app requires iOS 5.0 or later to run.